This is one of the most useful $8 purchases I’ve ever made. 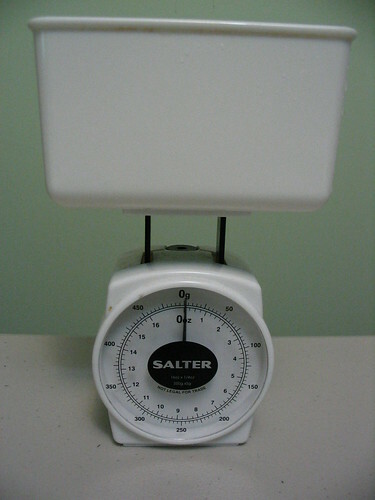 It's a small kitchen scale. It weighs things up to 450g (16oz). I use it to weigh my cereal in the morning (55g of Mini Wheats). But it’s also come in handy for determining how much postage to put on envelopes and parcels. posted by Jonathan at 10/10/2009 07:37:00 p.m.